Stefanutti Stocks is one of the most recognisable brands when it comes to construction in Southern Africa. The JSE-listed multi-disciplinary building firm has been at the heart of some of the most iconic and influential projects in South Africa and beyond. Stef Stocks’ strength comes in its diversity in skills and the way it applies them to both conventional and niche projects, a track record of decades of successful project delivery and financial backup and for the last 26 years the South African company has been demonstrating those abilities to build and sustainable and successful division in Botswana. Having been built on a history of conventional construction ability, at the beginning of 2016 Stefanutti Stocks decided to evolve into a multi-disciplinary company bringing on the capability to complete work on roads, damns, in mining, marine and civils work – utilising the skills and experience already available within the business. Now, at a time when the building industry is in a bit of a slump in Southern Africa, the diversification has offered protection against the turbulent sector and opened a raft of new revenue streams. In Botswana, Stef Stocks has led the developments of major projects such as the Ombudsman & Land Tribunal offices in Gabarone, the 271-bed Maun Hospital in the North of the country and the modern 4,200m2 SADC Headquarters again in the capital. While the firm has built up a presence in Botswana, and there is a lot of work to tender for with president Ian Khama’s legacy infrastructure build being implemented, Stefanutti Stocks Botswana general manager Shaun Cross says there is a threat on price competitiveness from large Chinese firms joining the market. “Where it is difficult for us at the moment is having to compete with the Chinese element. It is making it very difficult because they are coming in at ludicrous prices – they will come in at half the price on a tender where the contingencies are almost the price they are putting on it,” explains Cross. However, where Cross feels Stefanutti Stocks can compete is on the quality of the projects it delivers. “[The government] has gone through a period of using a lot of Chinese contractors and there is a long list of projects that have failed in terms of quality and timing,” Cross argues. One of Stef Stocks closest held values is to build sustainable businesses when it expedites the brand name across Africa and there is nowhere this is more evident than in Botswana. In addition to the domestic localisation policy, where foreign firms must have a minimum of 30% of local content in their tenders, including employees, supply chain, vendors and logistic support, Stef Stocks normally runs at around 50-60% localisation and concentrates on integrating local supply chains. As well as upskilling and involving the local communities through employment and contracting Cross’ company provide a lot of free training and charity work. Recently, using Stef Stocks’ state-of-the-art 3D simulator, the building major trained 81 operators across the country for free in a major drive to upskill the local workforce. Cross explains that these kinds of programmes offer three key benefits; they satisfy the government requirements, they fulfil Stef Stocks’ promise to reinvest back into the community and it gives the company a bigger pool of trained skilled potential employees to draw from. Botswana is one of the fastest growing countries in Africa in Cross’ opinion, the nation has seen staggering development in the last 20 years. But, where the new buildings shot up the infrastructure lagged behind. Now there is lots of work coming up for tender on major roads, flyovers, bridges, railways and other integral projects. The eruption of new opportunities has attracted other large firms from South Africa to look at Botswana, but Cross says it won’t be as easy as coming in and swooping the tenders. “A lot of South African firms are trying to expedite the African market now as well. We were pioneers in that sense, but others are now starting to move into the Southern African market and they are going to have to go through a massive learning curves and pay some heavy school fees. “There’s permit issues, expat issues, the local knowledge, the standards, the norms, supplier base, resources – if you haven’t got a handle on all of that you are going to battle and pay some serious fees. The Botswana government has implemented a regulatory and legal environment to attract foreign investment, keenly focusing on banking policies and reducing any political risk. Although the majority of new projects come from public investment, the government is entering a new phase of introducing public-private-partnerships (PPP), where private contractors partner with government to build projects. Cross says the policy is still finding its feet in Botswana, with the structure of PPP deals causing some teething problems in getting projects off the ground. But Cross is confident of the process and is leading Stef Stocks on presentations to government for forthcoming PPP contracts and is hopeful of positive results coming in the near months. Looking forward the buoyant construction and infrastructure industry in Botswana paints a very good picture for Cross’ business unit. 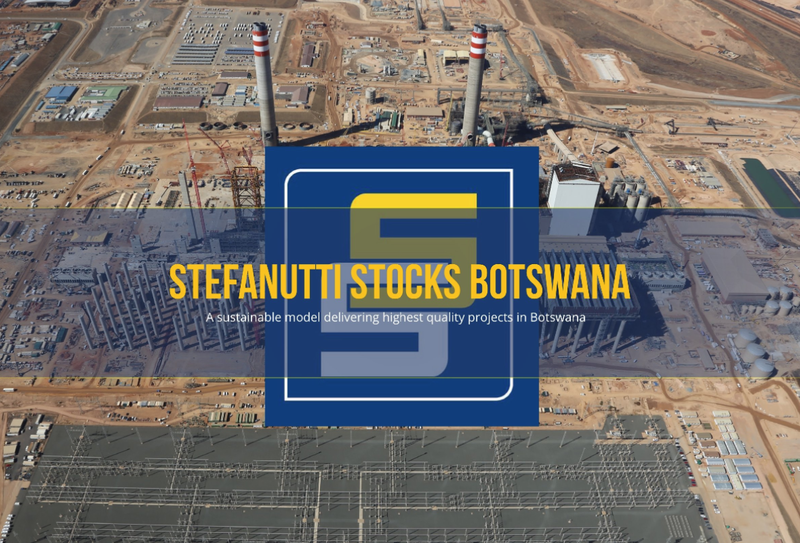 So, with the country turning towards quality over price, Stefanutti Stocks Botswana track record of successfully delivering premium projects and an industry with strong positive indicators, Cross is well-placed to lead the Botswana division over the next few years.